Auto Level, Auto Color Correction, Auto white Balance, just on single click. No need to waste time. Just click and you will get perfect color tones. 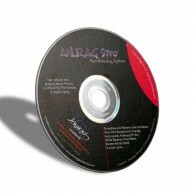 Now with Anurag Retouch Pro5 one can do digital make as an makeup artist. All professional make up tools are developed for fast and easy beauty retouching. It includes Eyebrow, Glamour look, Custom Eye Shadow, Lipstick, Silver Eye Shadow, Hair Color etc. 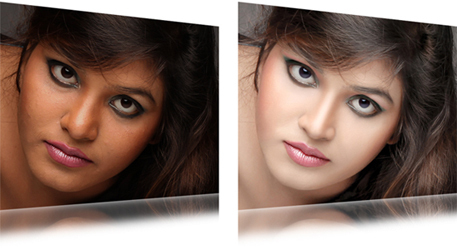 In Anurag Retouch Pro5 one can change background of his/her own choice in single click without any professional skills. 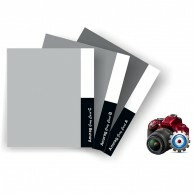 You can change background from White, Black, Grey and any single colored plain background. With Anurag Retouch Pro5 you will get 1000 backgrounds of different categories absolutely free. Now making passport package is very easy and fast as well. 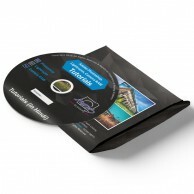 In Anurag Retouch Pro5 you will get pre prepared sets to create custom passport Package. Like 8PP, 16PP, 32PP, 5X5, etc. 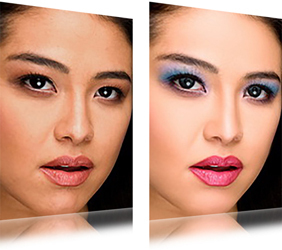 One of the best collections of borders in Anurag Retouch Pro5. Total 100 borders with different shades, style and patterns. There are 5 different default sizes 4X6, 5X7, 6X8, 8X10, 8X12 and custom size through which one can apply borders on any size picture. You can rotate border as well you can apply file name to the photographs. 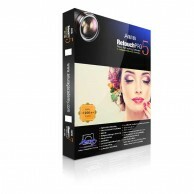 Industry’s best photo effects are in Anurag Retouch Pro5. Magazine cover effect, Fuji tones, Black & White tones, Sketch, Painting Effects, and exclusive 126 photo effect are available in Anurag Retouch Pro5. Just select and click and your effect is ready. Black & White to Color. 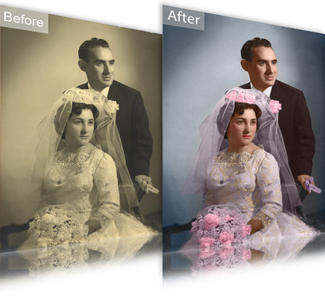 Now its very easy to convert an BW image to colored image in 5 minutes. 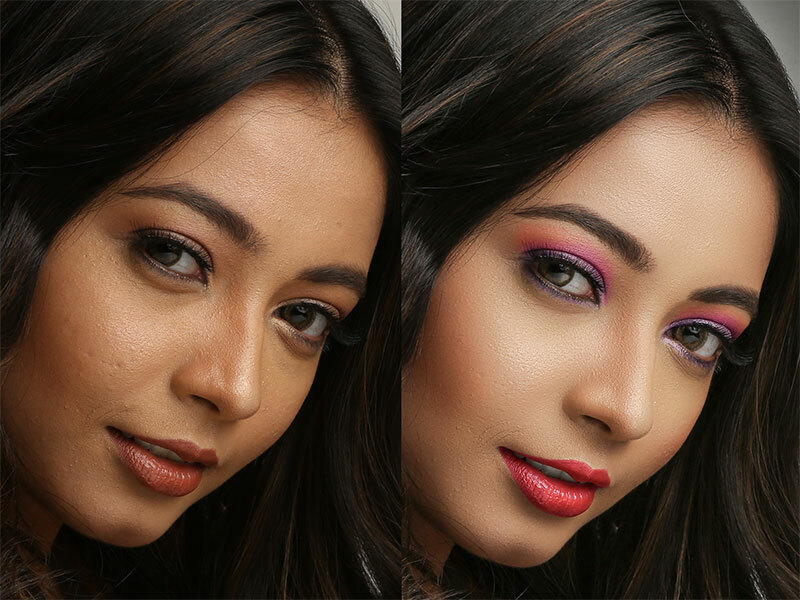 In Anurag Retouch Pro5 you will get ready made Skin colors, Lips colors, Hiar colors, Background colors, Clothes colors etc. One can convert BW image to colored image in 5 minutes by just clicking desired color buttons. Now in Anurag Retouch Pro5 you can do batch color correction of your bulk images in few seconds. You can also resize and watermark images in just one click.